The events and travels of the last week slowly coagulated into some design musings that inspired this post. It started with the sad passing of David Bowie, and took in a trip to Portland for my wife's birthday. So what do a musical savant, and a bookstore in the Pacific Northwest have to do with game design? Let's take a look! Bowie was one of my favorite artists. The sadness of his passing this week demonstrated just how influential he was to many, many, creative people, myself included. It made me think about why he was so much more influential than many other artists that I liked growing up. Bowie was different, always. 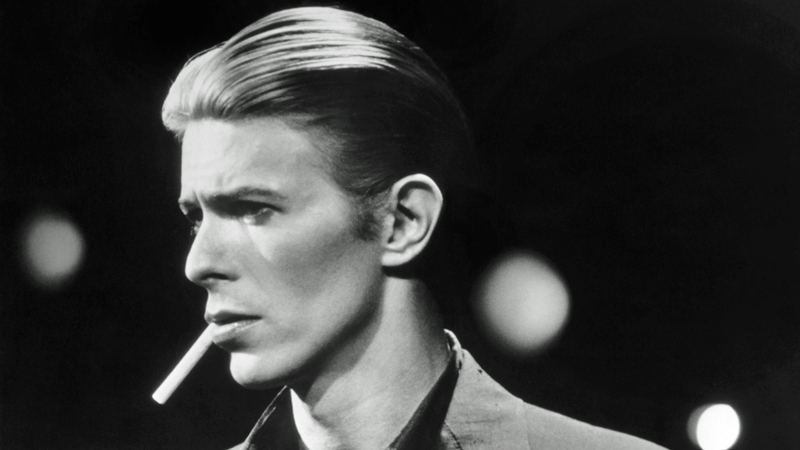 To me though the most important thing Bowie led me to was to new things. He always opened doors for me. From Labyrinth as a kid, I started listening to his 80's pop. Further dives into his catalog as a teen saw me introduced to Lou Reed, Brian Eno, and Nic Roeg. He broadened my horizons. He was always willing to do something different. I’m pretty sure he was my first exposure to concept albums, to questions of gender and sexuality (in particular growing up in conservative, catholic, Ireland), and the notion of alter egos and alternate personalities, he was always a mask. He was Ziggy Stardust. He was Major Tom. He was the man who fell to Earth. He also made it ok to be weird. He always piqued my curiosity, made me want to ask more questions. He kept going. I kinda actually liked Tin Machine, and think Black Tie, White Noise is a great album. I saw him live in 1997 when he toured with a Drum and Bass set for Earthling, (The drum and bass version of The Man Who Sold the World is still one of my favorite live performances) that ultimately led me to an appreciation of NIN amongst others. He still had more albums in him, never quite what you expected of him, but often brilliant, right up to the end. His collaborators almost always had me discovering new things, be it music, art, or theater. Sure, it wasn't all to my tastes, but it exposed me to new things. That exposure is worth far more than you might imagine as a designer. It broadens your perspectives, adds to your creative vocabulary, and opens new doors, where new potential inspirations await. I’ll always be grateful for all those doors he opened. His death put me in a frame of mind for thinking of all those new things he exposed me to. Another thing that always presents opportunities for new things is my love of bookstores. While in Portland this weekend my wife took me to Powell's Books, a huge, famous, bookstore. Powell's Books is the type of old fashioned bookstore fast disappearing from our towns and cities. Three floors and row upon row of books, old and new. It is another time when you have the potential to be exposed to new things, books you had never heard of, authors you didn't know, and stories that might otherwise have been left unexplored. I like the convenience of Amazon as much as the next person, but I hope old fashioned bookstores do not vanish entirely. There is something about the discovery possible while exploring in a bookstore that you simply don't get from online browsing. I discovered so many wonderful stories simply from wandering the aisles of a bookstore. In an internet age where we have more and more tools at our disposal for filtering and selecting our news, our music, our friends, and our exposure to things, we face a challenge. The modern internet age is something of a paradox. It brings people together, while also isolating them from all the other people, from the different. It easily becomes an echo chamber, full of people with the same interests and backgrounds, feeding you news about the things it already knows you like. It constantly points you to articles that reinforce your perspective rather than challenging it. As a designer that limits your horizons. It represents missed opportunities for inspiration. It's also all too easy to just let that be the way it is. You have to be proactive in this internet age. You have to seek out the new, strive to discover new things, challenge your own ideas and perspectives. Expose yourself to more things. You can start simply with considering how someone else might play the games you play, but do so differently. It may be playing games you don't normally play, exploring genres that don't immediately resonate with you. It might be stretching beyond games themselves. Explore what other forms of design may teach you. There are many core tenants of design in other mediums that may inspire you as a game designer. You don't necessarily have to become an expert, but there is always something interesting to learn.